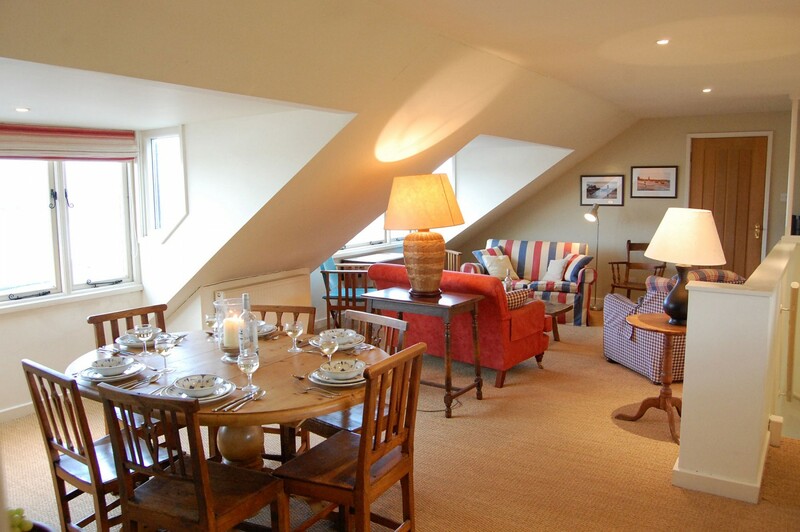 The Boathouse is a beautiful conversion of the former boat house of Flagstaff House and has stunning river view, it is also the previous home of Captain Woodget of the Cutty Sark. 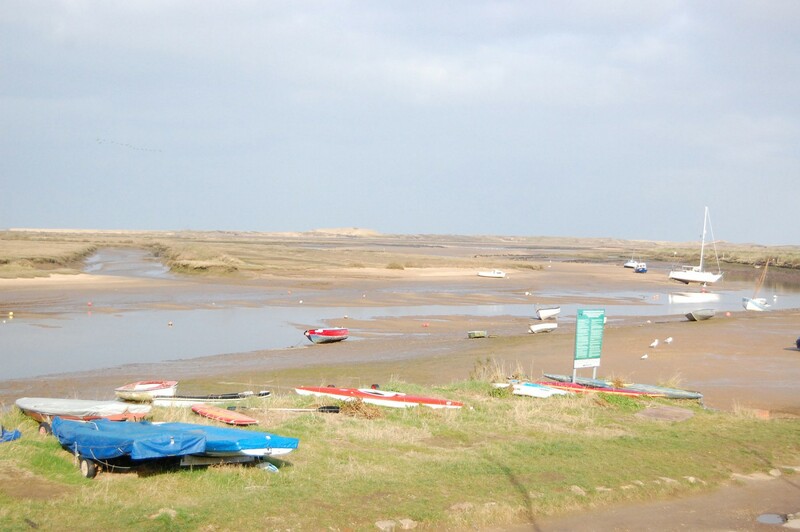 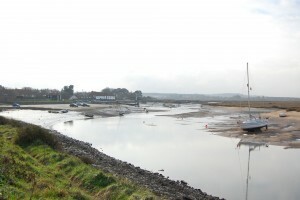 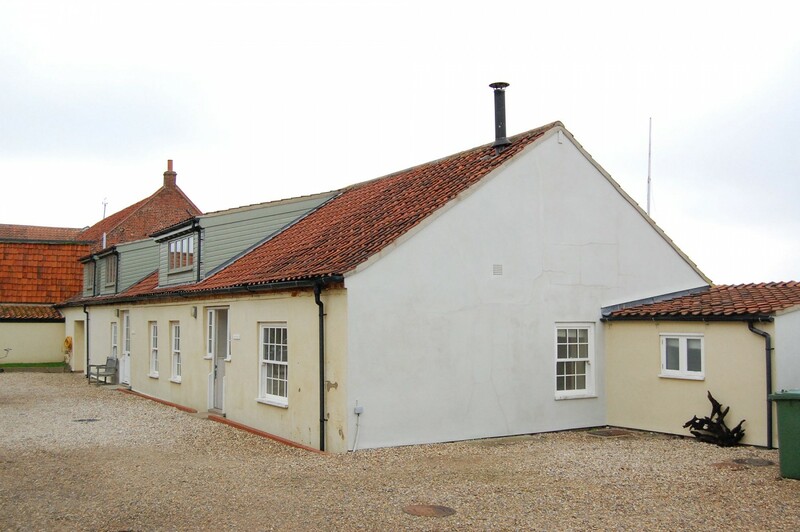 This holiday cottage in Norfolk is situated amongst the boats lining the sandy creek at Burnham Overy Staithe and has the sea just beyond the horizon. 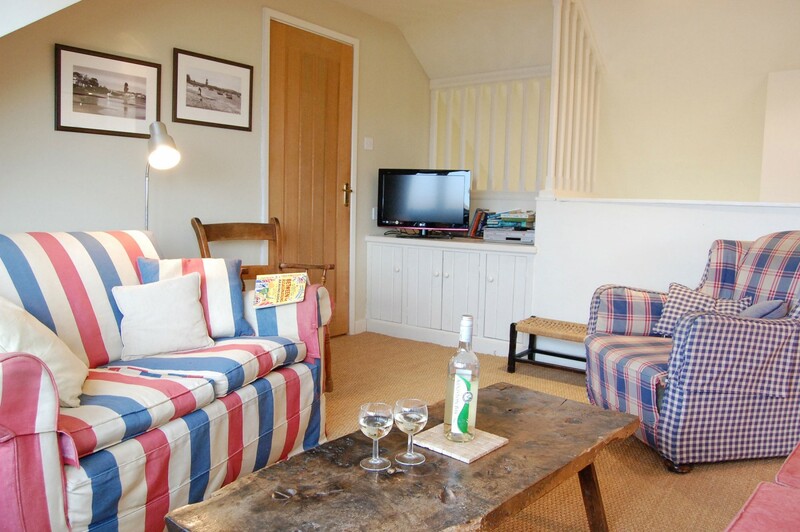 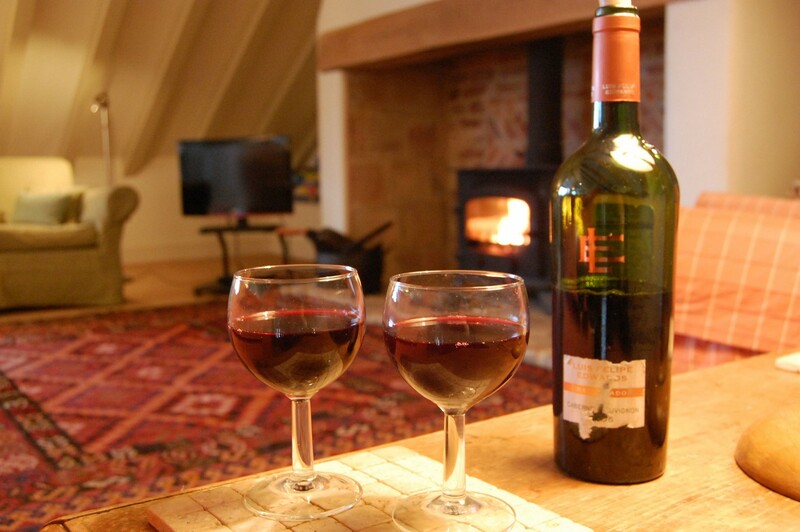 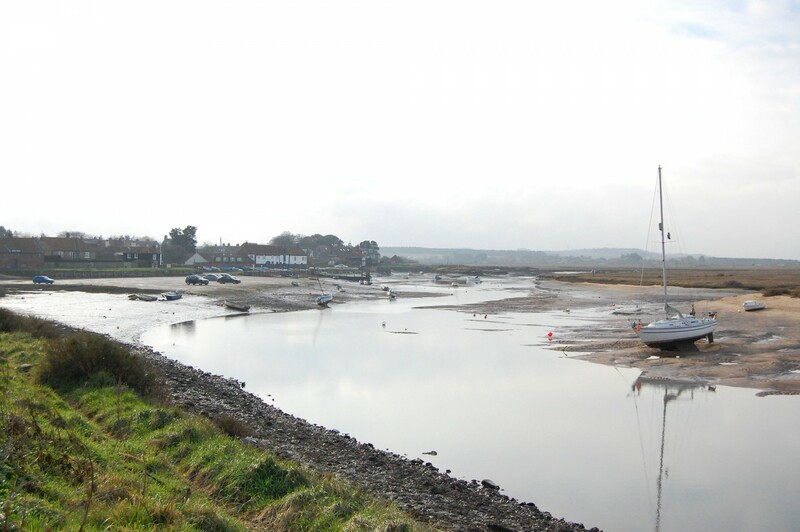 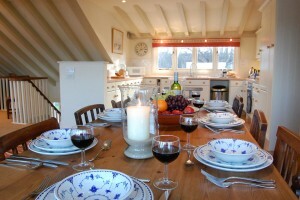 It is ideal for families or groups looking to explore the North Norfolk coast. The outside door of this large coastal Norfolk holiday cottage enters into a tiled hallway with plenty of room for hats and coats. 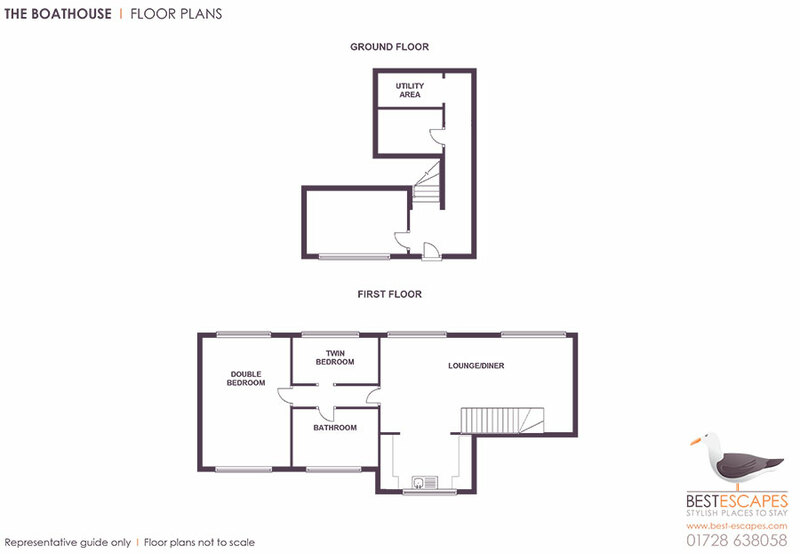 A twin bedroom, the shower/wet room and utility room all lead off this space, with a wide staircase leading to the living/kitchen/dining room and two other bedrooms above. 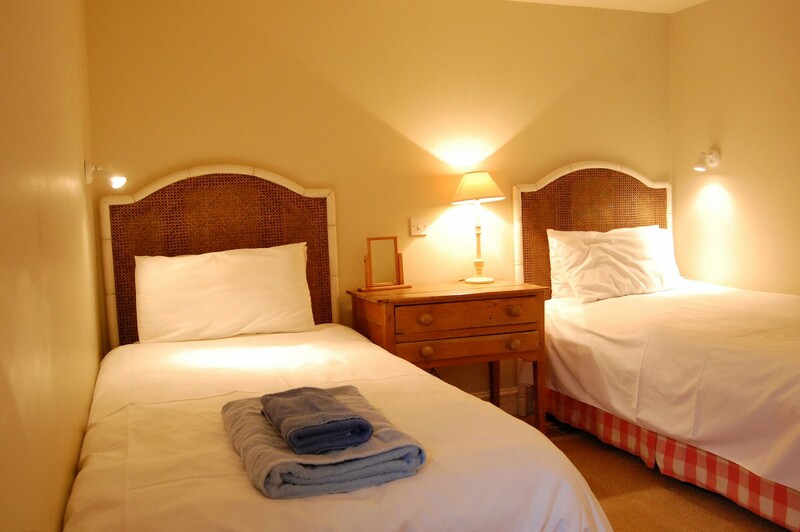 A generous sized, ground floor, twin bedroom with a walk-in wardobe and chest of drawers. 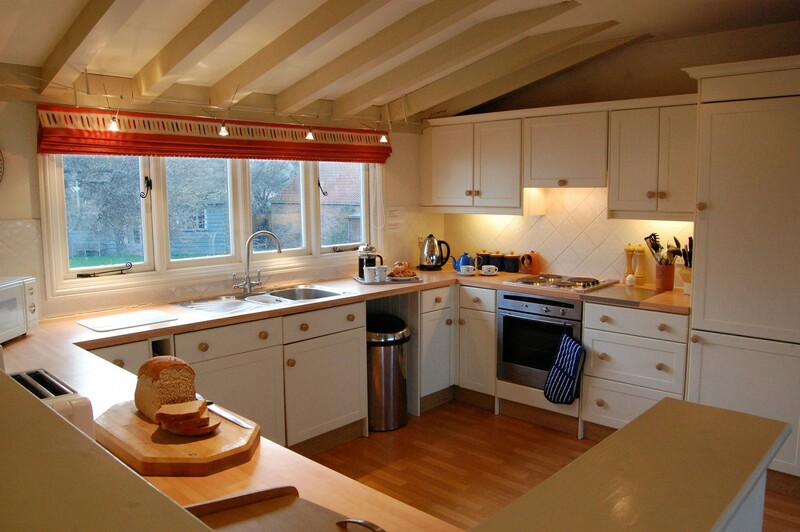 The utility room boasts a Belfast sinks and wooden workshop with Bosch washing machine and Miele dryer. 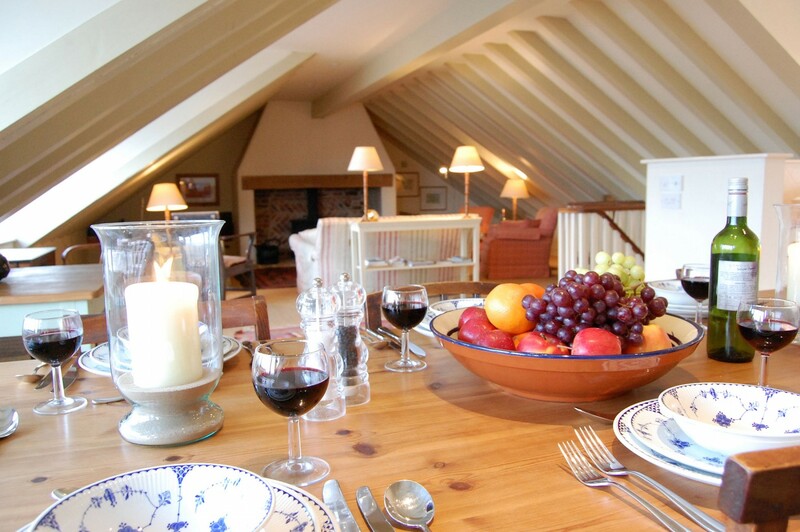 This striking room has a vaulted ceiling, and large windows overlooking the creek, it has a fully equipped kitchen and a generous dining area. The dining table easily seats six, there is a Neff Electric hob and oven, Neff Fridge and Neff freezer and a Neff slimline dishwasher. The living room boasts a 26" LG flatscreen TV with Freeview and a DVD player, there are two sofas and wifi. 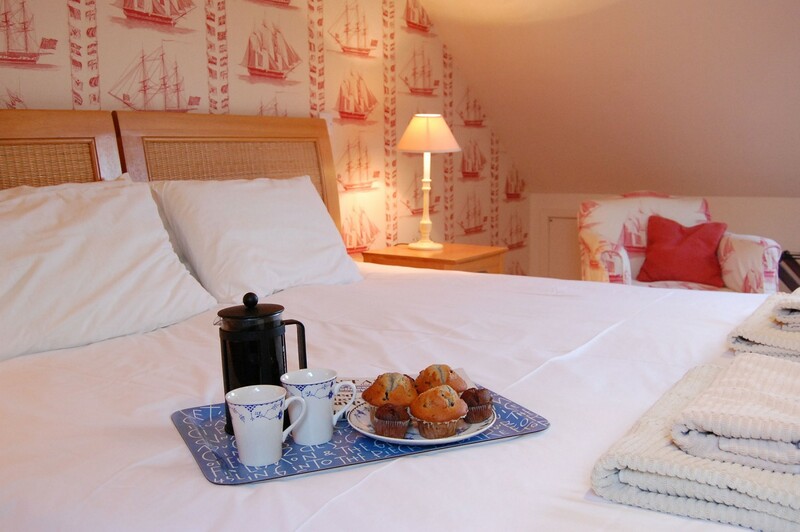 A delightful twin bedroom with direct views over the creek, with a two full sized single beds and chest of drawers. The bathroom boasts a bath, handheld shower attachment, hand basin, toilet and heated towel rail. 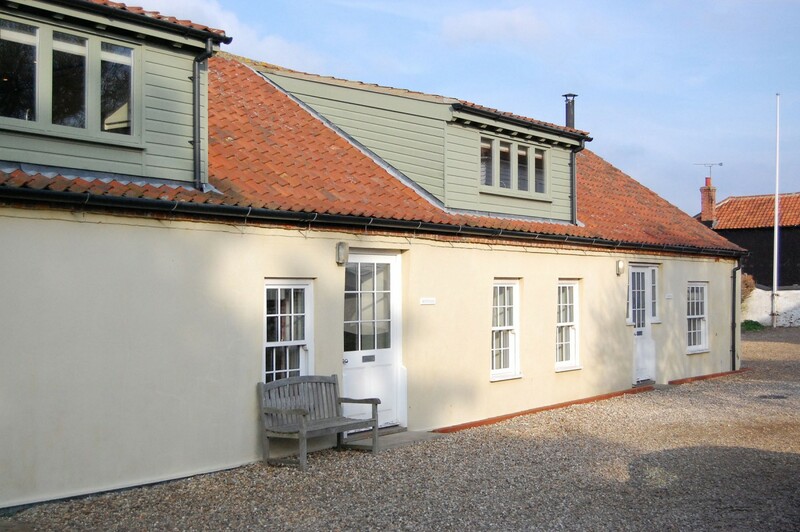 There is a large garden shared with three other holiday cottages, ideal for relaxing in with friends and family, and ample car parking. 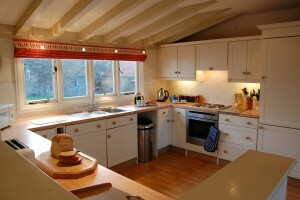 There is also a shared utility room with washing machine and dryer.